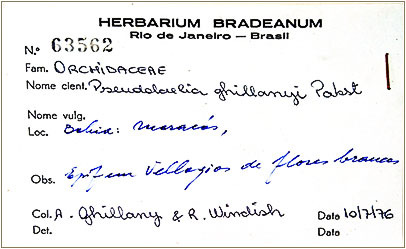 This genus inside Laeliinae has been described in 1935 based on plant collected in Corcovado Hill and named Pseudolaelia corcovadensis Pôrto & Brade but the first species described was vellozicola as Schomburgkia by Hoehne, in 1933. When Pôrto and Brade created the new genus, they transferred it as Pseudolaelia vellozicola (Hoehne) Pôrto & Brade (published in Arquivos do Instituto de Biologia Vegetal). 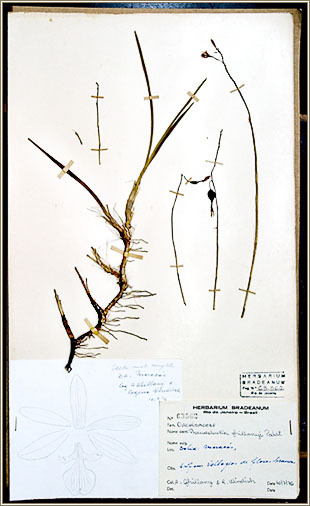 According to Pabst (l976), the genus is characterized by having 8 pollinia, tied in group of two (as found in Laelia), by the structure of the column, by the vegetative habit of the plant with its long rambling rhizome of 10 cm (or more) long, by the homoblastic pseudobulbs covered by sheaths at the inferior leaves and by the big inflorescence from 50 - 80 cm long. Pseudolaelia Pôrto & Brade is not very well known genus in spite of having 12 species (4 recently described) and a natural hybrid (also recently described). It is endemic to Brazil and, except for Pseudolaelia corcorvadensis in state of Rio de Janeiro (including Rio de Janeiro city) and Pseudolaelia vellozicola (Hoehne) Pôrto & Brade, in Bahia (1), the species are restrict to the states of Minas Gerais and Espírito Santo. The last state is the center of its distribution with 10 species and a hybrid. 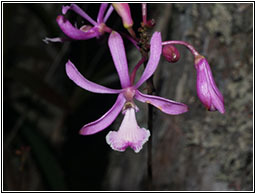 Minas Gerais has 8 species and three of them are endemic (Pseudolaelia cipoensis Pabst, Pseudolaelia geraensis Pabst and Pseudolaelia irwiniana Pabst). In 1946, eleven years after the description of the genus, Augusto Ruschi described a new genus (Renata) based on a species he named Renata canaanensis and published it in Publ. Arq. Público Estado Espírito Santo 1946. 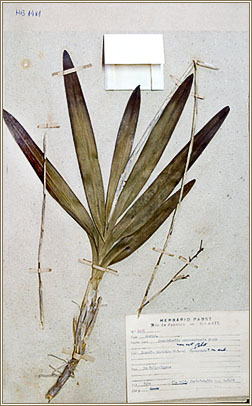 Later, in 1994, it has been transferred, by Fabio de Barros, to the genus Pseudolaelia. So until 1949, when Ruschi described P. dutrae, the genus stayed with only two species. In 1966, H. G. Jones stated his belief that Pseudolaelia vellozicola and corcovadensis were, in fact, natural hybrids from Schomburgkia and Encyclia. Em 1967, quer dizer, quase 20 vinte anos depois, Pabst descreveu uma nova espécie: Pseudolaelia geraensis à qual se sucederam mais três. 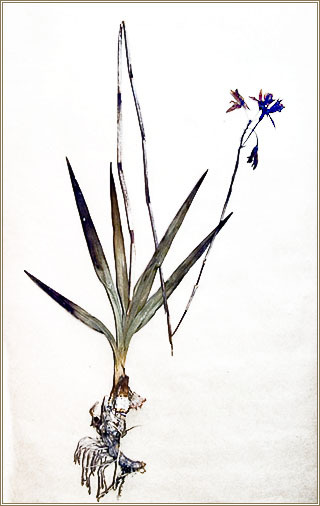 In 1967, it means, almost 20 years later, Pabst described a new species: Pseudolaelia geraensis. In 1972, Jonas confirmed the statement and considered that the other species were just additional forms of the same population (Taxon, Vol. 22, No. 2/3 (May, 1973), pp. 229-239). Both proposition were not accepted in general. In 1973, he described two more species P. irwiniana and P. cipoensis. 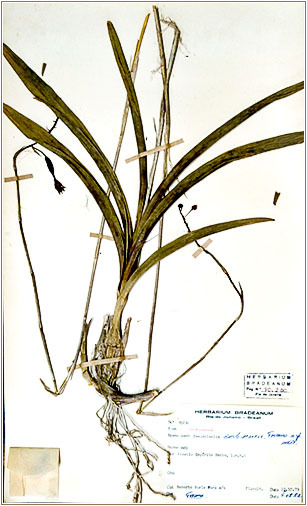 In 1976, he described Pseudolaelia citrina which was his last description of a species inside the genus although he had, at least, two another plants that he considered, at first sight, as new species (see bellow). In 1991, Rui J.V. 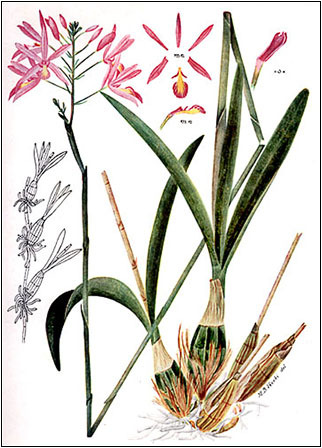 Alves described a species (Pseudolaelia lymansmithii) occurring in the state of Minas Gerais, Brazil and published it in Folia Geobot. Phytotax, Praha 27:189-191 9- Kolbek J. & Alves but in l994, Fabio de Barros considered as synonym of Epidendrum campestre Lindl. He published Pseudolaelia brejetubensis (2003), Pseudolaelia maquijiensis (2005), Pseudolaelia pavopolitana (2005) and Pseudolaelia x perimii (Pseudolaelia brejetubensis Frey x Pseudolaelia freyi Chiron & V. P. Castro) (2005). In 2004, Chiron & V.P. Castro published Pseudolaelia freyi. This genus asks for a revision since there are botanists who consider some species a little confused and may be synonyms not valid species. The answer for all those questions will, certainly, be found by Luiz Menini Neto who is doing the taxonomical revision, morfometric analyze and phylogeny of this genus, under the supervision of Professor Dr. Rafaela Campostrini Forzza and Prof. Dr. Cássio van den Berg. from white to soft pink. The main host of the genus is Vellozia but some species are rupicolous. (1) - Inclusion of the state of Bahia - Carl L. Withner - The Cattleyas and Their Relatives, Volume III and also exsiccate filed in the Herbarium Bradeanum (Maracás- Bahia - see bellow). 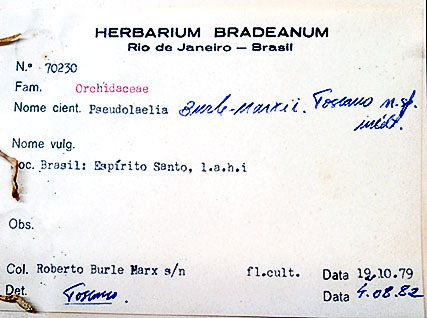 When we consider studying orchid Brazilian species (and specially Pseudolaelia), we should consider doing a research at Herbarium Bradeanum (HB). Between the 880 types distributed by 53 families, we should emphasize that HB has one of the most important collection of Orchidaceae family (257) which corresponds to 10% of the total patrimony of this institution. 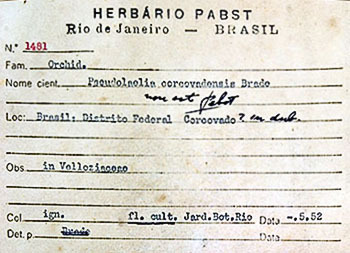 However, the most interest preciosities of the HB is Pabst's card index which is formed by 38.961 registers with information about orchids species. 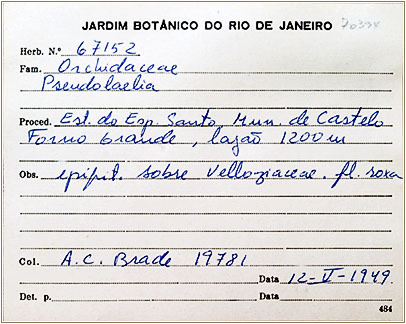 Those cards were the basis of the book "Orchidaceae Brasilienses". 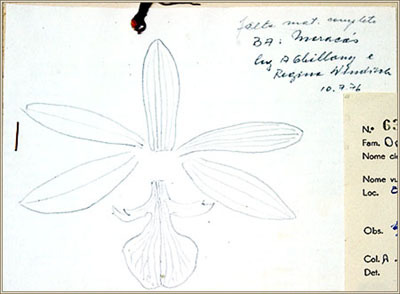 All information concerning genera and species of the Orchidaceae family, he could gather, was carefully transcribed to those cards: photocopies and original works about genera, such as "princeps" works, re-descriptions, species, keys to identify, types, phototypes (photography of the types), species, flattened perianths, basionyms, synonyms, watercolors by Samuel Salvado and Margarete Mee, besides the register of the exsiccates which are filed in Herbarium Bradeanum. Some precious information about Pseudolaelia are found there. There are, at least, 30 cards concerning it and between them, there is one which immediately calls our attention: very small pressed flowers collected in Maria Madalena, by Brade. However, the big surprises are in the collection of Pseudolaelia exsiccates. The holotypus of Pseudolaelia cipoensis Pabst and Pseudolaelia citrina Pabst and the isotypus of Pseudolaelia irwiniana Pabst are stored there. Between them, there is one that is not identified and there are two that, in spite of having a name (the first one given by Pabst and the second by Toscano de Brito), the plants have not been described. We don't know if Pabst hadn't time to do this or if later, he considered as a not valid species. The first one is the file 67152, an unidentified species, where is written: "from Espírito Santo, Castelo, Forno Grande, Lajão 1.200m alt. Epiphyte on Velloziacea. Fleur Purple. Collected by A. C. Brade in 19781 in 12.V. 1949". The second one is the 63562 file where is written: Pseudolaelia ghillany Pabst. Loc. Bahia - Maracás. 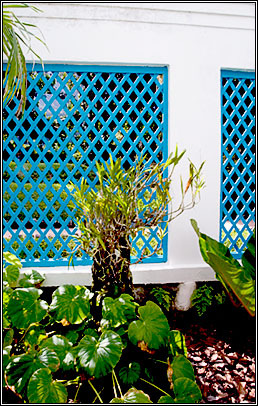 Epiphyte on Vellozia with white flowers. Collected by A. Ghillany & R. Windish. 10.7.76. The third one is the 70230 file where is written: Pseudolaelia burle-marxii Toscano n sp. inedit. Loc. Brazil - Espírito Santo, collected by Roberto Burle Marxi, blooming in culture in 19.1079 and identified by Toscano in 04.08.82. 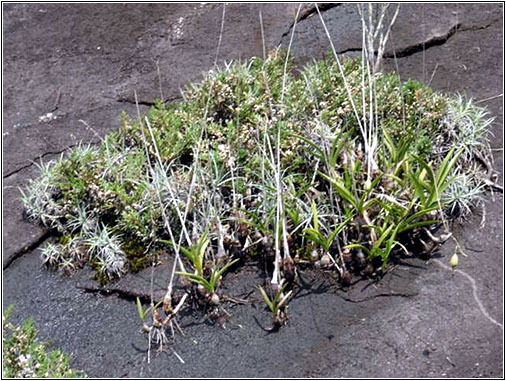 "Although similar to Pseudolaelia vellozicola, those plants do not grow on "vellozia" and have the lateral lobes very different from those of that species. The habitat is placed at 600m altitude in granitic inselbergs, between the "Vellozia" and do not accept any concurrence of other plants. it is situated in the Municipality of Guarapari, state of Espírito Santo and 7 km far from the city"
This genus is not widely found in particular collection. In general, they should be cultivated under intermediate conditions, almost exposed to the sun, however there are species that need less luminosity. 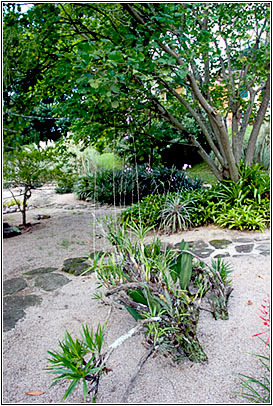 Although Rio de Janeiro has a hot climate, Pseudolaelia corcovadensis and Pseudolaelia vellozicola are cultivated in Rio de Janeiro, at the Botanical Garden, but it is surrounding by the forest which makes the temperature to drop every day at night, all year along. Pseudolaelia corcovadensis is cultivated in the Botanical Garden of Rio de Janeiro outside in full sun on a compact Vellozia which grows in sandy soil (at sea level). Pseudolaelia vellozicola is cultivated in the Botanical Garden of Rio de Janeiro under strong luminosity inside the greenhouse. 2) Chiron, Guy R. & Vitorino P. Castro Neto - Richardiana Vol IV(4) - 155.162-2005 - Contribution à la connaissance des orchidées du Brésil, - une nouvelle espéce de Pseudolaelia (Orchidaceae: Laeliinae) d'Espírito Santo. 14) Orquídea 29: 63. 1967. 15) Orquideas 275:277 - setembro-outubro 1966. 16) Guido Pabst cards - Hebarium Bradeanum.